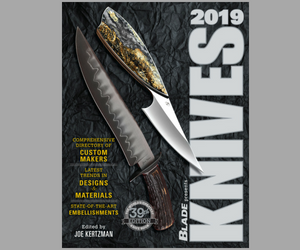 An article on the lost art of knife sharpening in Spain rang true to this knife enthusiast, and I’m sure it will for you, too. In an article posted on BBC News Business and written by Tom Burridge of BBC News, Madrid, Burridge reports on two men, Rafael Antonio and Rafael Romero del Campo, who use motorbikes to take their knife-sharpening services to businesses in Madrid. The whirl of the petro-powered stone wheels can be heard in the early-morning hours. As Burridge writes, “A shrill, but tuneful whistle reverberated around the narrow streets of my neighbourhood in central Madrid. I peered from my balcony, and, in the distance, there he was. His name is Antonio, an elderly man, dressed in simple clothes, who grew up in a Spain that is far removed from the country we both live in today. And he is practicing a Spanish tradition that is slowly disappearing. Antonio is an afilador, which translates into English as a sharpener. He thinks he is one of only five left in the whole of Madrid. Click here to read the rest of the article. Click here for more quality kitchen knives. Or get your own knife sharpener.